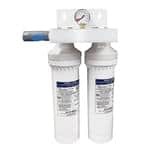 Something as small as a water filter may seem like a frivolous expense in your large commercial establishment, but that couldn’t be farther from the truth! After all, is there really anything worse than your customers being turned off by your establishment at the first taste of their water? Contaminants, deposits, and minerals can impact the flavor of many of your restaurants beverages. Poor-quality water doesn’t just leave a bad impression with your patrons, though; it can also affect the quality of the food you serve! That’s because contaminants, deposits, and minerals can negatively affect any food that is prepared in units that require water, like your steamers. Commercial water filters and filtration systems ensure that these contaminants are filtered out of your incoming water line, leaving only the purest water for commercial kitchen uses. Make sure that all of your patrons are served clean and pure drinking water, crystal clear ice, and perfectly prepared meals with the help of a commercial water filter from CKitchen. Ice-O-Matic, located in Denver, Colorado has been working on new technologies for over 50 years, and has become one of the leaders in the ice making industry over this time. Ice-O-Matic consistently delivers innovative solutions to water purification. At CKitchen, we offer a great line of Ice-O-Matic water filters that are suited to the demands of a busy commercial kitchen. Each of these water filters is designed to improve water quality so that your patrons can enjoy delicious, clean drinking water each and every time. 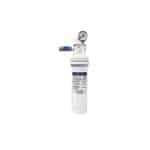 Make sure your water, ice, and even your food taste clean and fresh with the help of an commercial water filter. 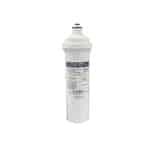 Shop our selection of Ice-O-Matic water filters for the guaranteed lowest prices and fast shipping. Our top priority here at CKitchen is to provide each and every one of our customers with the best customer service, as well as high performing, efficient, dependable products. If you need help choosing the right water filter or filtration system for your needs, please give us a call and one of our certified foodservice equipment assistants will be happy to assist you.